Bobbit worm vs Lion fish. I was perusing a reef aquarium forum and found this gem. That thing is creepy. Check out this video of it in action. How big was that friggin "worm"? That worm will give me nightmares tonight. Nature is awesome. I am about 10 weeks into my small saltwater tank. I have discovered something new living in my tank for the past 3 days. It is amazing how much life can just appear. I am getting to the point that I am thinking twice before sticking my hands in the water. Last edited by trout25red; 11-06-2014 at 12:16 PM. Ok, I'm sure a quik search will turn up where they are geographically. But I will never be able to walk on the beach without fear.....of the bobbit!! Not to efficient as a predator but it sure looks like a killing machine. I am about 10 weeks into my small saltwater tank. I have discovered something things living in my tank for the past 3 days. It is amazing how much life can just appear. I am getting to the point that I am thinking twice before sticking my hands in the water. 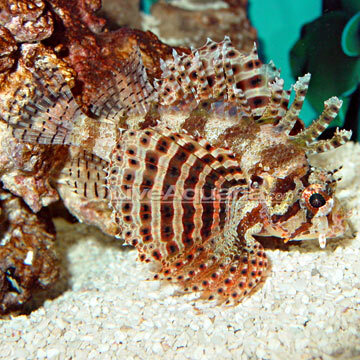 You may like this forum http://www.bayoureefkeeping.com/index not sure how many worst bankers , there are on the forum but everyone is really helpful and willing to offer tried and true knowledge. related video that popped up. No more snorkeling along the bottom for me.... That would leave a mark! It evidently can grow 10 feet in length! Too be fair, the lion fish that got snatched was a fuzzy dwarf (AKA bumble bee) lion which is a very small version of the typical red or black volitan. The bumble bee only gets to 7 inches but most I have seen were under 3". Still a hell of a worm though. Thanks, I will check it out! I wasn't always a wanker, but life throws you curves sometimes. Here is another good one. do they call it a bobbit worm for obvious reasons or is the name just an awesome coincidence? Thanks, I am already registered there. I have spent many hours on that forum researching. Yes. It was named after that Bobbit.